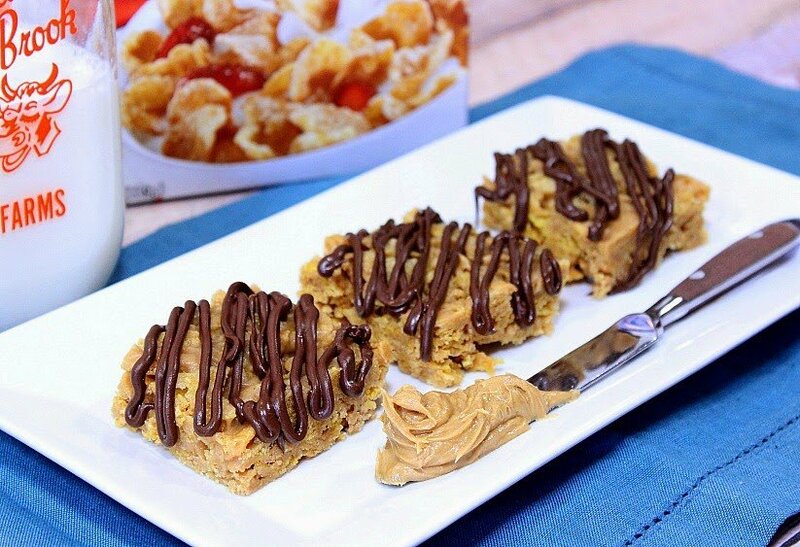 Chocolate and Peanut Butter is a classic combination that only gets better when mixed with frosted cornflake cereal and marshmallows. 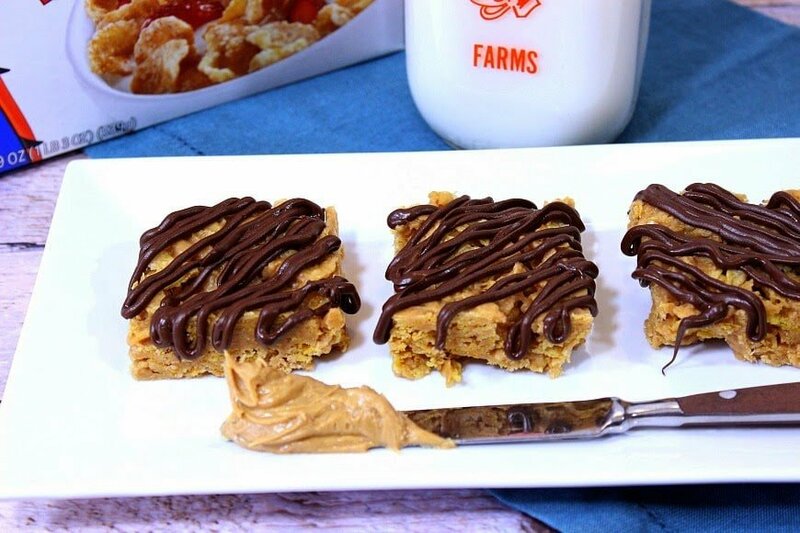 These Chocolate Drizzled Peanut Butter Tiger Paws are not only good…they’re GRRREAT! In honor of today, March 25th being National Chocolate Peanut Butter Day (#ChocPBDay), I’ve decided to share a recipe for something that I haven’t made since my boys were little. And quite honestly, I only made them once, maybe twice, back then. But, they’ve not been forgotten, by me, or by them. 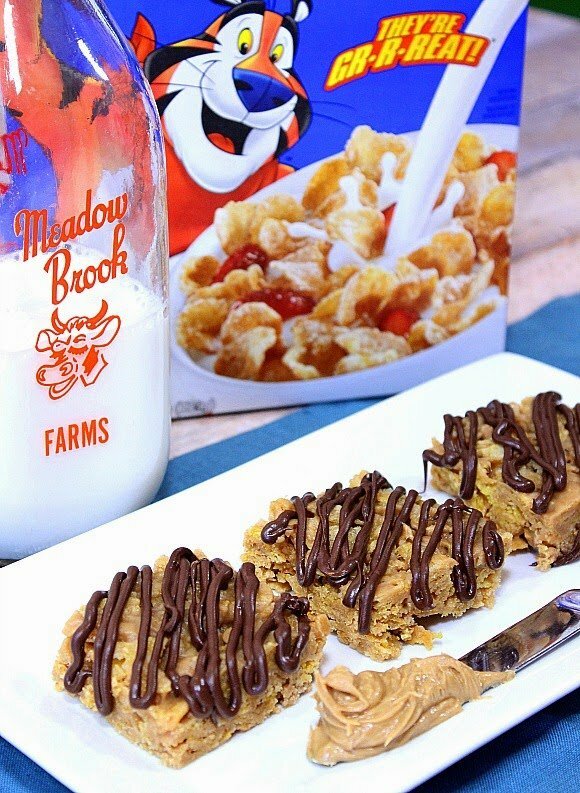 These Chocolate Drizzled Peanut Butter Tiger Paws are very similar to those little puffed rice cereal treats except that sugar coated cornflakes (you know the ones) are used in place of the puffed rice cereal, and then creamy peanut butter is added into the marshmallow mix for an extra punch of flavor, and some delicious peanutty goodness. -In a large saucepan over medium heat, melt the butter. Stir in the marshmallows and stir occasionally until fully melted. Stir in the peanut butter until fully incorporated. Remove from the heat and stir in the vanilla and cornflake cereal. -Press the mixture into a 9×13 pan and allow to fully cool. Once cooled, cut the tiger paws into squares and place on a parchment-lined baking sheet. -Place the chocolate morsels in a microwave-safe bowl and microwave on medium power at 30-second intervals until completely melted and smooth. Drizzle the melted chocolate over the tiger paws and allow the chocolate to set and harden. I’m super excited to be a part of this, the second annual #ChocPBDay, that is being hosted and completely coordinated by Carla of Chocolate Moosey, and Miriam of Overtime Cook. Thank you, ladies, for all the time and effort involved in making today as tasty and delicious as possible! 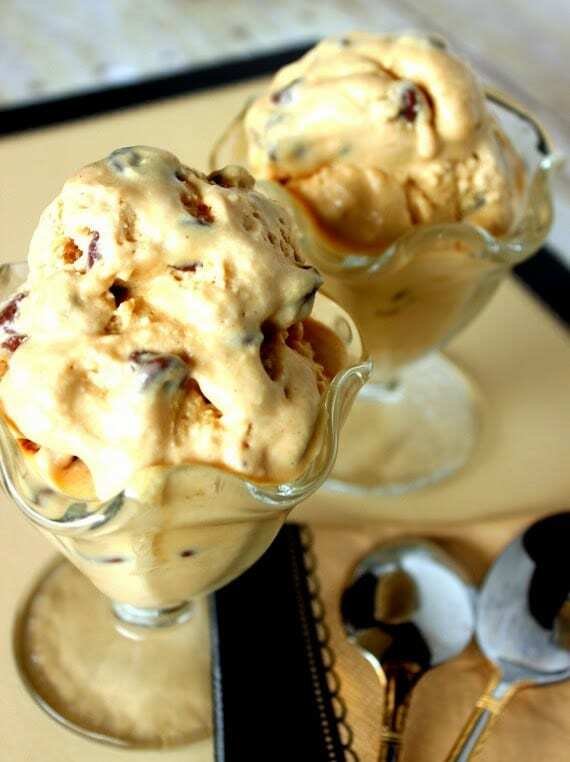 Last year I participated with this recipe for Chocolate Peanut Butter Ice Cream and it was a blast! To find all 27 recipes that honor only the best combination in desserts…ever (IMHO), please check out all the 2015 links below. Oh, and just as a heads up, you’d better fill your printer with paper. You’re going to need it! Thanks for stopping by. There’s always room for you in my Kudos Kitchen. A place where food, art, and fun collide on a regular basis! I love these treats! I even have a bag of marshmallows in my pantry that I need to use. Oh my, don't these look wonderful! Good golly – these sound fabulous! Oh. My. Goodness. These look SO DELICIOUS! Adding these to my "must-make" list! Only 6 ingredients? Amazing! My kids will LOVE these!! Mmm I love making cereal bars with more than puffed rice cereal! Especially if there is peanut butter involved! I think this is the perfect way to celebrate National Chocolate Peanut Butter Day! YUM! so crunchy and simple and delish! Oh, these are a blast from the past! LOVE these babies!!! I saw these on Instagram and knew I had to come over for the recipe! Yum! Oh my gosh, those sound delicious! Chocolate and peanut butter are just one of those perfect combinations, aren't they!? I never heard of tiger paws, so I was very intrigued to read about your recipe when you signed up. I'll have to try these out as Frosted Flakes was one of my favorite cereals growing up. I never had these made with sugared corn flakes, different! Now that's one tiger paw I wouldn't mind coming in contact with! What a fun take on Rice Krispies treats! I have a feeling my kids would think these were g-r-r-e-e-a-a-t! I love that you used Frosted Flakes instead of Rice Krispies cereal! They look fantastic! 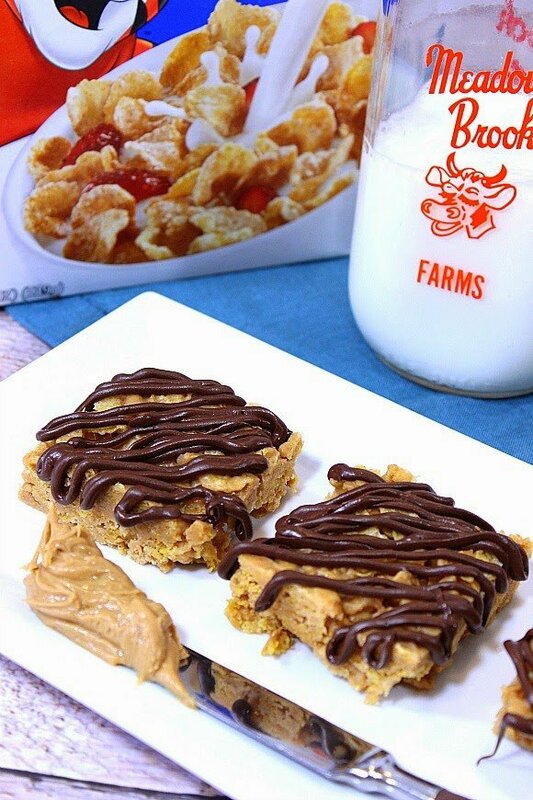 I have some leftover Corn Flakes that would probably taste awesome in these bars. 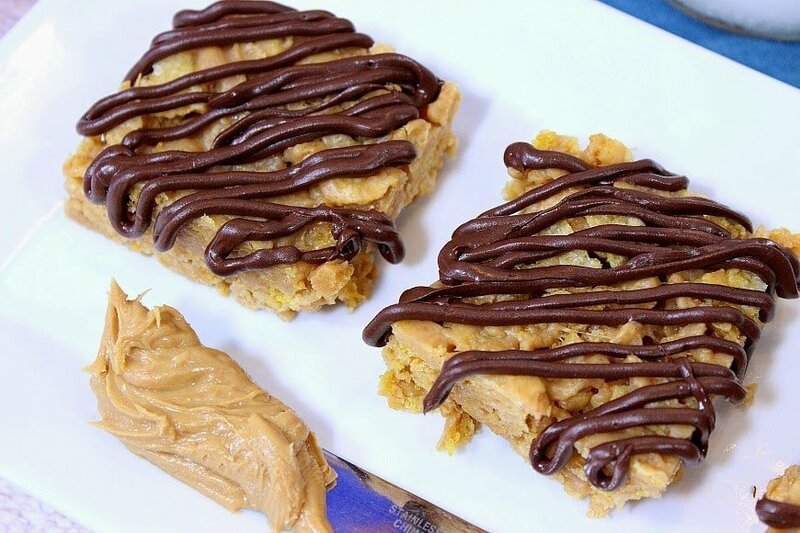 I recently made some rice krispie treats with peanut butter and chocolate; something about that combination of crispy along with chocolate and peanut butter was SO good. These look similar and am now dying to try Frosted Flakes – boy is that a blast from the past! Love how simple but decadent these are! Wow, these look good. I'll take two. Pinned.